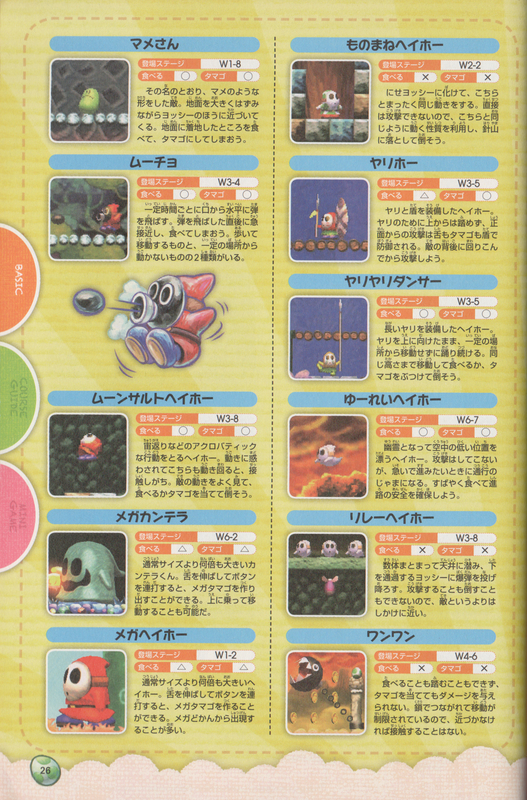 Relay Heihō are bomb-dropping Boo Guys from Super Mario World 2: Yoshi's Island, Yoshi's Island: Super Mario Advance 3, and Yoshi's New Island. They are found stationed in long rows within the ceilings of certain castles. They relay a single purple bomb, dropping it when a Yoshi approaches them. 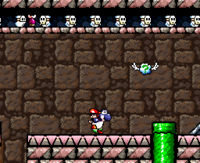 The Yoshi can perform a Ground Pound to force them to drop the bomb. If they miss, the one who dropped it will hang its head with an ashamed expression, with them starting over a few moments later. However, in Yoshi's New Island, they no longer pause to look ashamed, with a new bomb appearing immediately to be relayed. Due to their position, they cannot be defeated. ↑ 「食べてからはき出せば、コロコ口転がって敵をまとめて倒せる。天井に並んでバケツリレーのように爆弾を運び、投下するものもいる。」 ("If spat after eating, they roll and can defeat enemies at once. Some also line up in the ceiling like a bucket relay to transfer a bomb, and drop it.") 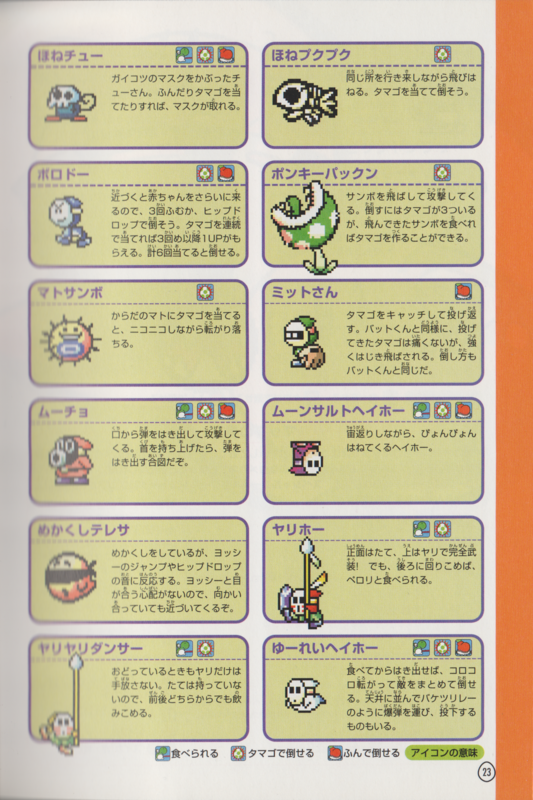 - 「スーパーマリオアドバンス3任天堂公式ガイドブック」 (Super Mario Advance 3 Nintendo Kōshiki Guidebook), page 23. This page was last edited on March 1, 2019, at 11:44.